The English developed a new form of garden design in the early eighteenth century. They called it ‘modern’, or natural. This design style included a lawn, trees, curved pathways, water, stone work, and sometimes even beds of flowers. Eventually America adopted this English garden design, or landscape gardening, especially after 1850 for the middle class home landscape. Before then it appeared mostly on the estates of the wealthy outside cities like Boston, Philadelphia, and New York. 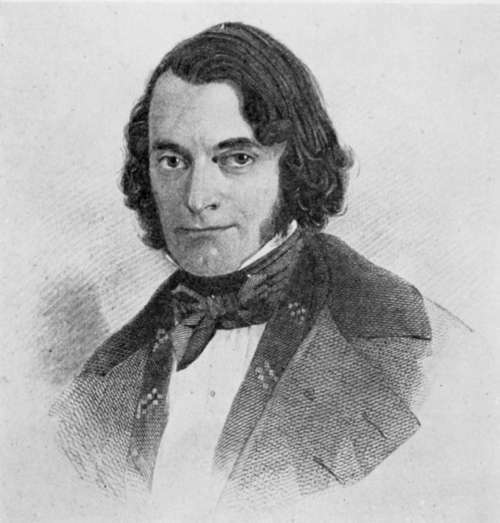 Boston horticulturist and nursery owner Charles Mason Hovey (1810-1887) published a periodical called Magazine of Horticulture . Hovey saw few landscapes designed in the English style. New York nurseryman turned landscape gardener Andrew Jackson D owning meanwhile was busy writing his book A Treatise on the Theory and Practice of Landscape Gardening which first appeared in print in 1841, one year later. 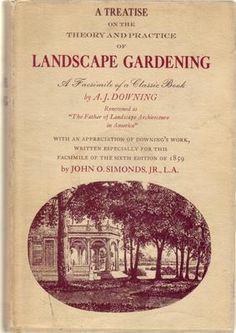 Hovey does not give the interest in landscape gardening exclusively to Downing, but Downing’s work certainly gave America an opportunity to understand the importance of English garden design. Downing wrote articles for Hovey’s magazine, so Hovey certainly knew him and his work. Andrew Jackson Downing would become the most important proponent by mid nineteenth century America for the modern English garden design.